Part of sleeve in progress we've got going on. 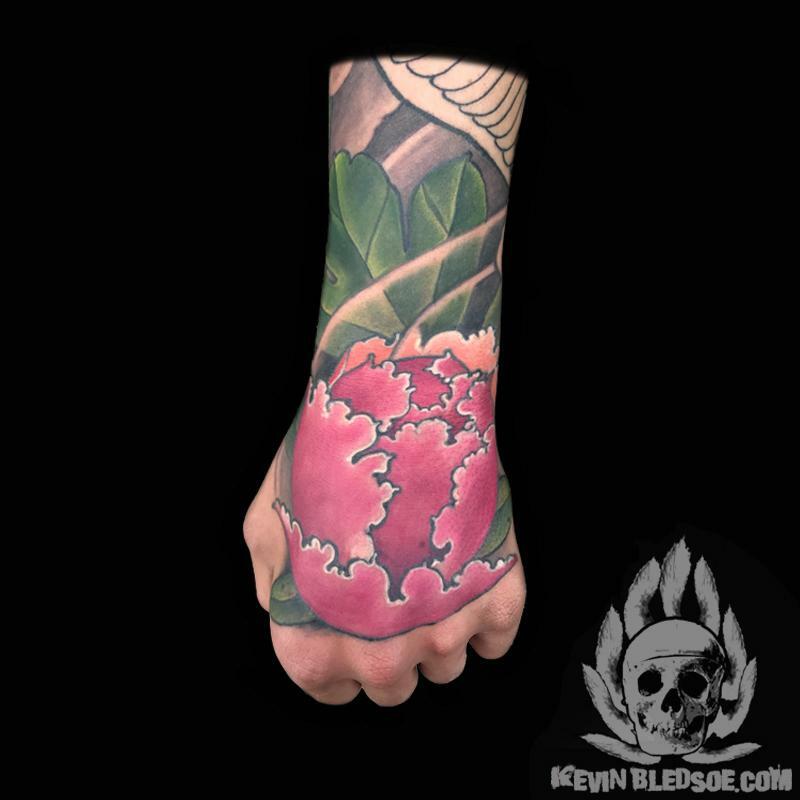 The entire tattoo is a japanese dragon weaving through a peony bush. Josh has two sessions left and I get to post the entire tattoo!